Lots of 2 year olds love watching Bing on TV, so here’s my Bing Home Playset review. The Bing Home Playset is one of many merchandised products of the children’s TV show Bing. Bing is about a cute baby rabbit and his friends. They get up to lots of adventures that will appeal to young children and 2 year olds. 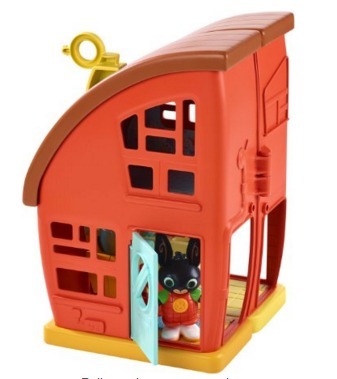 This mini dolls house consists of Bing’s house from the television programme. With simple details and bright colours, it’s just like the house that children will be familiar with on TV. It has a sloping roof, 2 floors and it opens out so that children can easily access it. What’s included with the play house? The Bing Play House comes with everything that a child needs to start playing straight away. It includes the house, Bing, Flop, bed, bathtub, couch and toy box. 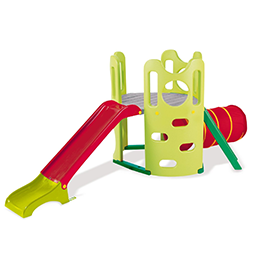 The Bing Home Playset is designed for 2 year olds and older. I think it will appeal to 2 year olds and pre-school children up to about 5 years old, but probably not much beyond that. Is the Bing Home Playset worth buying? 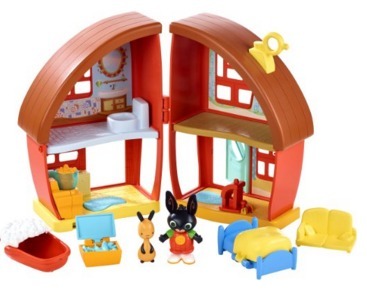 I think the Bing Home Playset is a really cute first dolls house for a 2 year old boy or girl. It doesn’t matter if they watch the Bing TV show – any child can easily identify with the cute house and characters. The house is filled with everyday objects that 2 year olds will be familiar with such as a bed, bath, rug, sofa and toy box. This fits perfectly with where a 2 year old typically is in their development. This age group are in the early stages of pretend play and love to mimic everyday activities in their play. Toys that involve everyday objects are therefore ideal for most 2 year olds. If a child likes the Bing TV show then the play house offers plenty of opportunities to mimic events from different episodes. You can make smoothies, make a mess, spill the smoothie and watch Bing’s disappointment as his ears flatten as a result. He can pretend to build a tower using building blocks and then knock it over. (You do these things by pressing Bing down on the object, e.g. the rug. When he makes a mess, his ears flatten and flop which makes him look sad.) Bing can have a bath and get into bed with his blankie. As well as recreating moments from the Bing TV show, 2 year olds will enjoy making the characters do a variety of other everyday activities. It has the same potential as any other small dolls house and is a great opportunity for early imaginative play without taking over your house, as larger dolls houses tend to do. The toy house is small enough so that it doesn’t take up too much space in your house, but big enough for 2 year olds to use without difficulty. Everything inside is the right size too, for example the bath and bed are just the right side for Bing to fit inside. As with most Fisher Price toys, this Bing Home Playset is beautifully made with lovely attention to detail. It lovingly brings to life the things that make the Bing TV show so appealing to 2 year olds. When your child has finished playing, you can easily tidy the play house away. Put toys inside and join the 2 halves of the house together before putting it away. This also makes the Bing Home Playset very portable, so you can take it out and about with you or on holiday. I think the Bing Home Playset is a lovely first dolls house for any 2 year old or pre-school child. It’s cute, well made and you can’t go wrong with this toy.